I am still waiting for the correct answer to what the historical building is in my last post. Does anyone know? Shall we have a contest with a prize? It is fun to return to a place and be the "guest" instead of working a meeting/event. It has been a lot of fun to share Happy Hours and Lunches with a group of consultants working from home this year. Yes, more happy hours. Networking is key as you work on projects, clients and business. This doesn't necessarily have to happen with formal meetings all of time. And it doesn't have to be expensive. Go early for the early bird prices and you have the rest of the evening to finish what you were working on. I may have mentioned with Silicon Valley history, one item known is the connecting after work hours - it doesn't matter if you are with the same company. It is surprising the fabulous information shared to help each other. A small group of amazing people - some work directly for companies and some have unusual businesses. It is great to get away from the 'puter and keyboard and share about our projects. September brought birthday celebrations as we returned to my favorite restaurant, Left Bank. This is one active group as one consultant returned from her Emmy's Red Carpet excursion, one is in New York, one makes frequent trips to L.A. and one is getting ready for a 3 week vacation in Hawaii. We seem to always miss some as one was in Japan and one is working on an African project. It definitely peaks our interests of what may be on the horizon! Great times! Excellent service! Fun Happy Hours and meetings! ~ The Fun Tour Guru, remember creativity returns when you take a break from work! San Francisco Attraction - What is this? Yesterday, I decided to take my own advice and stray off the beaten path instead of returning on the normal direction on the way home from San Francisco. I peeked down a couple of side streets and this building kept showing. So I turned the car around (safely) and headed back to the first street I passed. This is the historical attraction which I discovered. San Francisco Attraction - What? It is a landmark in San Francisco with (another) fabulous view. Okay readers, this is your chance to tell me what and where this is? I was able to drive up the road in front and took this picture from one of the side parking lots. I imagine the crowds around it when it becomes occupied. It was a gorgeous fall day in San Francisco. I admit that I missed my turn on the way home - instead of getting frustrated with this, I decided it was time to stop at the first exit (turning around) and get some delicious dinner at a favorite dining placewhich I do not get to frequent very much. I read an article once this establishment has the best Fish &Chips. I agree. If you don't have time to eat there, you may take the food with you. The fish even has newspaper wrapped around it. Tip: This is only one block away is yet another fantastic view of the Pacific Ocean. Where? The sleepy little town of Pacifica. Remember, Camelot! This is what happens when you take 10 minutes and a different way home! Do you like this insight? Let us know below in the comments. Our new Silicon Valley – San Jose E-Guide is now available. 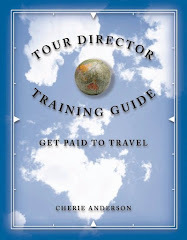 It’s a handy pocket guide filled with all the information travelers are looking for: “How do I get around? What is there to see?” It’s a fantastic value at only $5.00 and it’s available for downloading now! This Silicon Valley E-Guide is in PDF format. Travelers may print, fold lengthwise like a map, and carry it with them as they explore all that Silicon Valley has to offer. The document answers travelers’ questions about our region and includes Tourist Tips, Helpful Hints, and Insider Information – all in one place! Plus, people may take the document with them in case they have questions DURING their day trips. To purchase, simply click on the “Buy Now” button on the right side of our blog and start exploring today! The Region/City E-Guides are prepared by Donna West and Karen Kelly, both active travelers who love creating unique experiences. While there’s lots of travel information available, visitors (or even locals) may find they need to purchase two or three travel guides or search numerous sites on the internet to get all the information they’re looking for (and internet access may not always be available during their trip.) Donna and Karen compiled the answers to commonly asked questions to get the traveler off the internet and out exploring! They would welcome any questions about the Silicon Valley – San Jose E-Guide specifically, or any questions and/or requests for future E-guides. Next Up…the San Francisco E-guide. Check back soon! Sometimes I go on the darnest adventures. Today is one of those adventures. And, a great way to start September trips. It was like a scavenger hunt – searching for pianos today. Pianos? Yes, street pianos. I found 4 out of 20 pianos today in San Jose. A great idea to bring communities together. Play Me, I'm Yours has arrived in San Jose, CA. People will find 20 street pianos scattered throughout public parks, streets, and squares to enjoy for themselves. These pianos are part of San Jose's 2010 SJ Biennial. These pianos will be here through September 22. There is a website (link is at the bottom of post) set up documenting each piano's journey – the website will connect the pianos and their communities across the city. After the project, the pianos will be donated to local schools and community groups. Luke Jerram, British artist, is behind this project. The pianos have arrived in several different international cities since 2008. Belfast, New York City, London, Bath, Barcelona, Sydney, Sao Paulo ...... and now these cities: New Pecs (Hungary), Cincinnati, and San Jose are a part of this venture. Luke's vision: "I suddenly realised that within a city, there must be hundreds of these invisible communities, regularly spending time with one another in silence. I hoped that by placing a piano into the space acts as a catalyst for conversation." More information is at the Play Me I'm Yours website. Oh and go ahead, post your own story playing the piano with a group of friends with a picture at the website. Become a part of the fascinating journey of these pianos. I found 4 of the pianos - will anyone like to share other ones as a part of our collection? Now, I need to find someone that knows how to play to hang out with! The Fun Tour Guru, Follow me online or on a trip!